Mediterranean Trans Logistics (MTSL) is your Regional Overnight Shipping Alternative providing substantial cost savings on Guaranteed Next-Day Delivery of parcels and freight. Need to reduce your shipment’s in-transit days? Why settle for more when you can have less? We offer later pick up times combined with earlier delivery commitments to improve your distribution network and deliver extreme value to your clients and partners. Competitive rates are only a value if the service is unparalleled…UES’ expert teams of transportation specialists’ custom tailor flexible & simplified solutions designed to exceed client’s needs. Combined with our on-Line shipping application allowing clients Real-Time tracking & reporting functionality, this proven combination and process of listen, communicate & execute continues to deliver Best-In-Class results On Time Every Time!. We focus on a high level of service, finding the appropriate solutions for every aspect of a customer’s distribution needs. We’ve built relationships and have created long-term partnerships with clients providing award winning service and timely communication. Since 1985 Mediterranean Trans Logistics (MTSL) has offered reliable, efficient Next-Day package delivery service in Illinois, Wisconsin & Indiana. SQ provides a complete range of Next-day and Time-Definite delivery options throughout this Tri-State service area at rates often lower than the competition without discounting services. 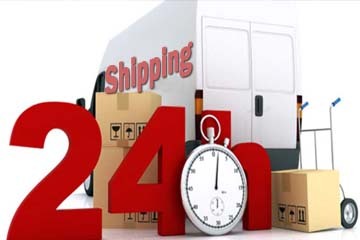 Headquartered in Naperville Illinois, with satellite facilities in Chicago, Bloomington & Galesburg, Illinois; SQ’ flexible pick-up times & veteran fleet of route couriers make UES your Regional Overnight Shipping Alternative. Mediterranean Trans Logistics is built on a reputation of trust, performance, and efficiency. We are obsessed with perfection, and seek excellence in all we do. Copyright © 2009–2018 Mediterranean Trans Logistics . All rights reserved.